I personally am of the belief that you should spoil the person you love most every day of the year, and not just on February 14th. So for Valentine ’s Day this year I am giving to you all moments of deep, meaningful and true love for me: sporting related incidents. These are a tiny, TINY selection of sporting moments that have truly moved me, and that represent everything that I truly love about sport. 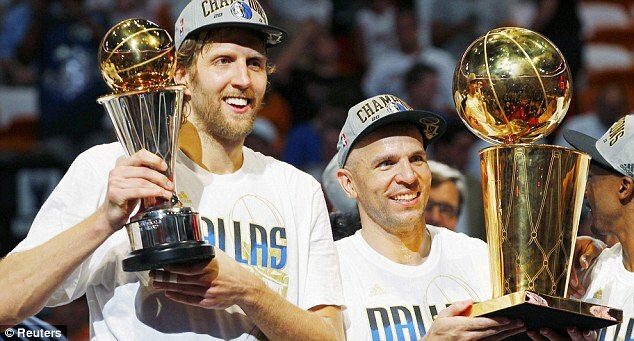 Dirk Nowitzki and Jason Kidd win their first championship with the Dallas Mavericks at the end of the first year of Miami’s Big Three. This win had the added bonus of depriving LeBron and company of a championship, but I was surprised at how emotional I got when Dirk and Kidd took to the podium. Both players have always been on my “greatest to never win a title” list and I think I was just so floored to finally be able to watch them achieve something long deserved. Now if dear old Steve Nash had just stayed in Phoenix, this year may have been his year to get off that list! April 28th, 2012. 1:20 left in game one of the Bulls/76ers round one playoff series. I don’t even have words for this one. Watching it now still devastates me, and knowing what it meant to not just one team, or one city, but an entire world full of basketball fans that would now be deprived of watching one of the most deserving players get his chance to shine. My eyes are actually stinging now at the thought, and perhaps my biggest basketball related fear is that his career highlights are only ever going to be before April 28th, 2012. 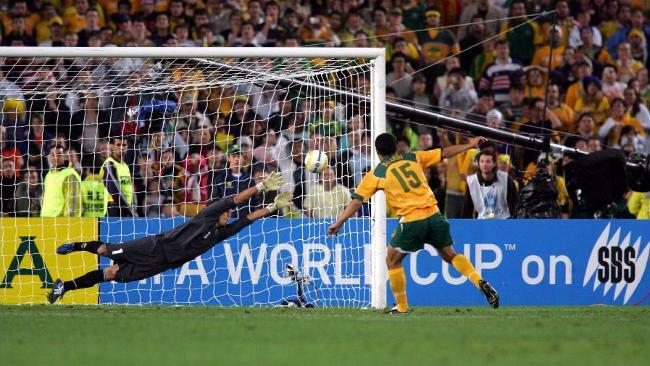 John Aloisi kicking the penalty against Uruguay that takes the Socceroos to the 2006 FIFA World Cup. This was the kick that sent millions of Australians back onto the soccer bandwagon (I will apologise ahead of time for calling it soccer, but unless they change their names to the Footballroos, it is easier). I remember watching this with my dad and even without knowing much about Australian soccer at the time, knowing that I was watching history. Even now seeing a clip of that footage, hearing the commentator yell “ALOIIIISIIII! !” gives me chills. It is just a phenomenal moment and lead to one of my favourite World Cups ever. Towards the end of Invictus (fictional, yes, but based on the incredibly inspiring and true story so I believe it counts) where the team visits Robben Island and then when the whole stadium erupts after the Springboks win. As a proud South African, even though I have no accent to speak of and have only spent a combined one year in the country of my birth, this movie just does something to me. The combination of phenomenal performances and rugby, and knowing that even now the Springboks are still the best team in the world, makes this movie full of really emotional moments for me. Fun fact: every time I watch Invictus I pick up a really odd South African hybrid way of talking for a couple of hours. The West Coast Eagles winning the 2006 AFL Grand Final. 2006 was a rough year for me, not just because it was my final year of high school, but because of a lot of personal stuff that was happening too. Someone else who had a rough start to 2006 was good old Benjamin Cousins. I don’t know if it’s because I grew up in a diehard Eagles household watching a baby Ben Cousins play in the blue and gold from the min-90s, but I cannot stop loving him. So watching the course his season took from losing the captaincy, to being brought onto the podium by Brownlow Medallist Chris Judd to be the first to touch the premiership trophy was something truly special to me. In a truly tough year for me, I turned quite heavily to sport as my drug of choice and I will always remember this moment with a smile and a tear in my eye. Like I’ve said though, there are about a billion other moments (watching the 2010 World Cup opening ceremony, Nadal fighting through back pain this year at the Australian Open, watching the Perth Wildcats win their first championship in ten years, the 2009 first round playoff series between the Bulls and the Celtics) that really hit me. I have a love for sports that any man is going to find difficult to replicate! Hope you guys have a great Valentine’s Day! Me, I shall be watching basketball and getting ready for All Star Weekend. 1) I wrote a theology essay on an article detailing a new (1980s) reading of the Ten Commandments in less than 4 hours the day that it was due. While yes, this is a practice that I usually frown upon, procrastination is my worst habit and it’s a struggle to defeat. But I woke up early on Wednesday, took the bus in the freezing cold to uni and sat in the library writing until it got to about 11.30am and all of a sudden my word count was at 1500! and without an over-reliance on quotes either (if you don’t count the actual Commandments). I usually don’t rate my last minute writing skills very highly, but the High Distinction that I got on my last major essay would speak otherwise. 2) Bestie and I (potentially) found a new basketball team to play on. Admittedly it is in whoop whoop, on Sunday afternoons/evenings AND a mixed team, but still, its actual basketball! A bonus part of this I’ll add is Monday night hang outs watching another friend play basketball and getting to catch up with him on the long rides to and from the stadium. Hearing all the squeaking of shoes and bouncing of balls on the courts made me homesick, leading to my newly determined pursuit of a basketball team. 3) Finding new books on Google Play and Amazon Kindle. Almost sacrilege for a stark “natural” bibliophile such as myself, but I think I made up for it finding one of the best books about books that I have read in a long, long time: Mr Penumbra’s 24 Hour Bookstore by Robin Sloan. A detective, Da Vinci Code type story set deeply within the world of books and Google, giving it (in my opinion) a cross market appeal to traditional book lovers and those immersed in the technological realms. My only gripe with it would be the almost “wrapped up in a bow” type ending. Everything seemed to fall into place quite easily, although perhaps that is me just wanting more and more of the book to read! 4) Just when I was getting used to the fact that, thanks to my new living arrangement, I would not likely ever feel an actual book in my hands I find myself falling deeper and deeper in lust (can’t call it love yet) with eBooks, having come into possession of 130 new, FREE, eBooks. How, I have no idea, you’d have to ask my step-dad’s friend Alex, who like me is a book/tv/movie nut. It was actually a little cute when he brought out his hard drive after giving me the books and said he had 200GBs of movies he could lend me, only for me to pull out my two 1TB drives and say the same to him. But back to the books. While it is an eclectic collection to say the least, with authors like Thackeray and Hemingway and Plath among David Sedaris, Chelsea Handler, OJ Simpson and Barack Obama, I couldn’t wipe the smile off my face just scrolling through all the authors. I even now have 67 electronic Agatha Christies! So I have been a busy girl this past week, and haven’t gotten around to much writing. However I have just gotten back into my massive pile of unread books (both paper and electronic) which I am very pleased about as it had been accumulating far too much for my liking. 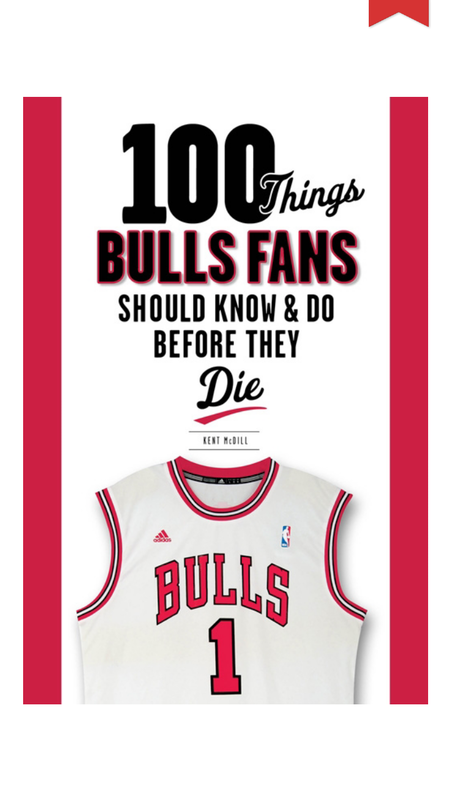 The book I started this evening is 100 Things A Bulls Fan Should Know And Do Before They Die by Kent McDill. As a mad basketball fan I am constantly flummoxed by the relative lack of quality books on the subject besides player biographies. But the ones that I have managed to find intrigue me enough that I am forgoing so called “classics” to take a big bite out of the spoers section of my unread book list. ▪The Book of Basketball by Bill Simmons. So far (I’m only up to #12 of 100) I’m finding this book very informative, as I was but a child during the three-peats, but I’m also enjoying the less formal approach and the way the author is conveying his voice without it becoming too overt. I am looking forward to this book, as a Bulls fan but also using it to learn about the team I love. I really like how it’s not just focused on those 90s golden years but that McDill looks at the early years, the Jordan hangover years and at this current team. It’s also looks like a very good way to distract myself from the ears of a Rose-less NBA season. Hopefully by the time I finish reading and analysing it I can also be watching and analysing a healthy Rose play. My tip for his first game back is mid March, against the Lakers. That’s what I’m hoping, praying, yearning, dreaming, wishing and waiting for (is it super obvious how much I love the kid yet? ).